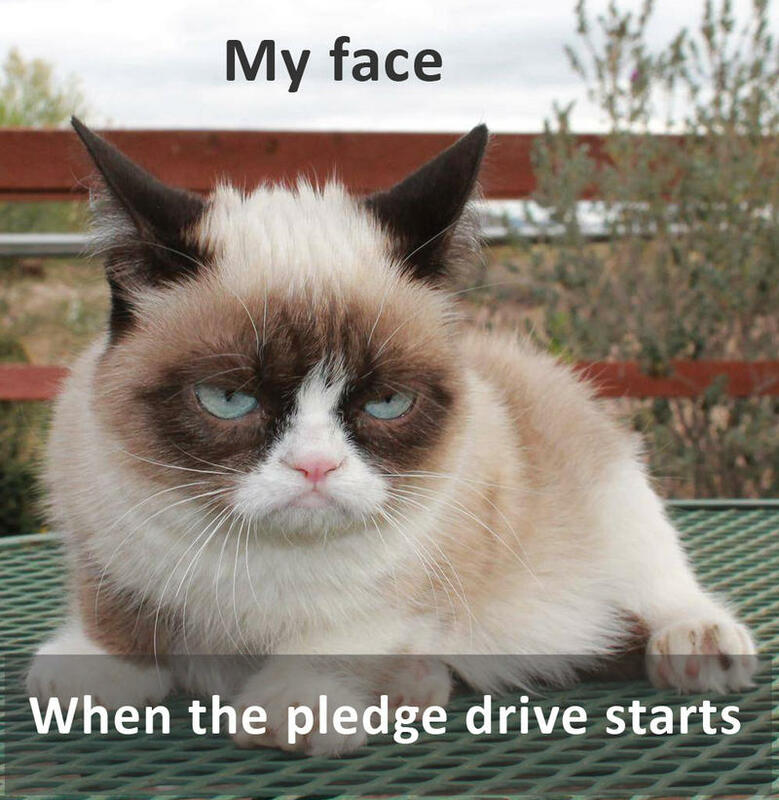 Grumpy Cat is a popular internet meme star. I used to see this little guy all over Facebook, but I have no idea how this meme started. The Lord of the Rings movies have provided many popular internet memes. Since we began KGOU's fall fundraising campaign we've heard from many listeners who love this new approach we're taking, and others who aren't so crazy about it. Most listeners get it–that this is the way public radio is funded: listeners donate to the local station and the local station pays for its operations and sends some to the networks, NPR and the others, for the rights to carry network shows. 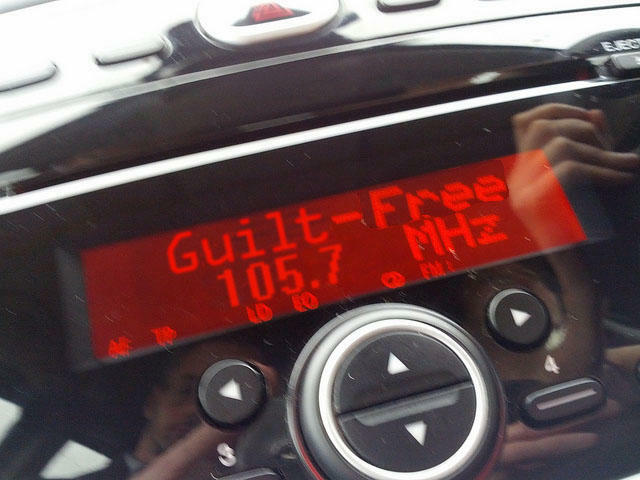 How do we get that message to listeners in a way that won't make them want to (gasp) listen to another station, or turn off the radio altogether? I don't mind the fundraising interruptions but I know it must get incredibly difficult for you all to come up with different things to say to get people to donate. 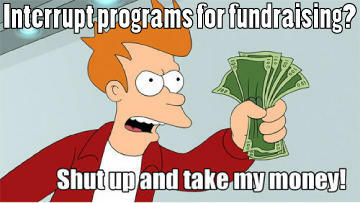 I think maybe you should try a plain and direct approach - "GIVE NOW and we'll shut up and let you listen to your favorite public radio show, Please GIVE NOW we're tired of talking!" Direct huh? It is hard to think of new ways to say it, thank you for noticing, Becky. 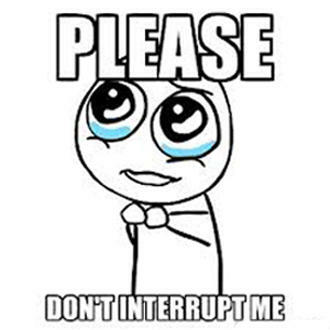 We've tried several approaches to get our fans' attention, including a recent trend toward internet memes. The images above illustrate some ways we've tried to say that very thing, but just for you, Becky, here's one more that takes a very direct approach. If you are one of the listeners who doesn't mind the fundraising so much, or you even like it a little bit, you're not alone. In fact, you're in some famous company. Comedian and late night talk show host Stephen Colbert told Ira Glass that he LIKES pledge drives, and thinks of them as his secret girlfriend. Ira can say it like no one else: We want you and we need you. We want you to listen and to read and to share our content. Listeners tell us all the time that they love it, can't imagine living without it, and that it makes them more knowledgeable and more connected to the world and the people in it. If you find it valuable, we need you to help support it, so that we can continue bringing it to you. That's as direct as I know how to say it. 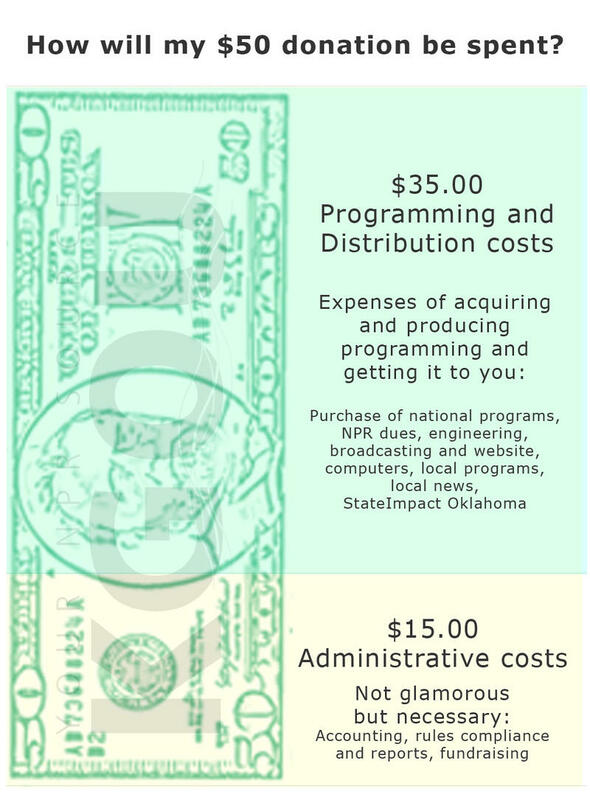 KGOU is a community-supported public media organization which relies on contributions from readers and listeners to fulfill its mission of public service to Oklahoma and beyond. Donate online, or by contacting our Membership department. What Will KGOU Do With My $50? If you've been listening or reading this website for awhile, then you know that KGOU is actively raising money right now to fund our work into the future. 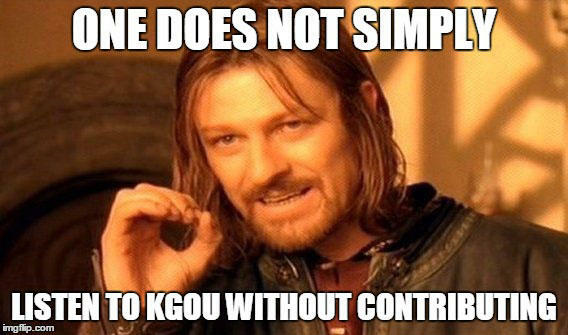 You've heard or seen our pleas for you, the consumer, to invest in more of KGOU's service. Many of you have already answered, and if so, thank you. But, being the curious type, you have questions. You might ask, "What are they going to spend my money on – beer and pizza? Office chairs with built-in massage? Solid gold paper clips? Limousines driving reporters to news stories?"